I choose a stamp by Stampendous to stamp over the tissue tape in two spots. I used the distress inks by Tim Holtz in Peacock Feathers, Marmelade, Dusty Concord and Picked Rasperry. 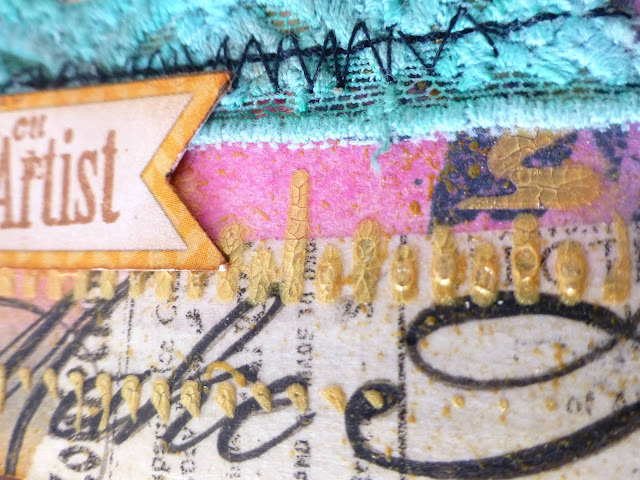 The paste over the Measured stencil (Tim Holtz) is a gold crackle paste (Prima Marketing). The small flowers are cut with Cricut and the Flower shoppe cartridge. Both ribbons are sprayed with Tattered Angels inks (Bahama blue and Party pink glimmer mists). 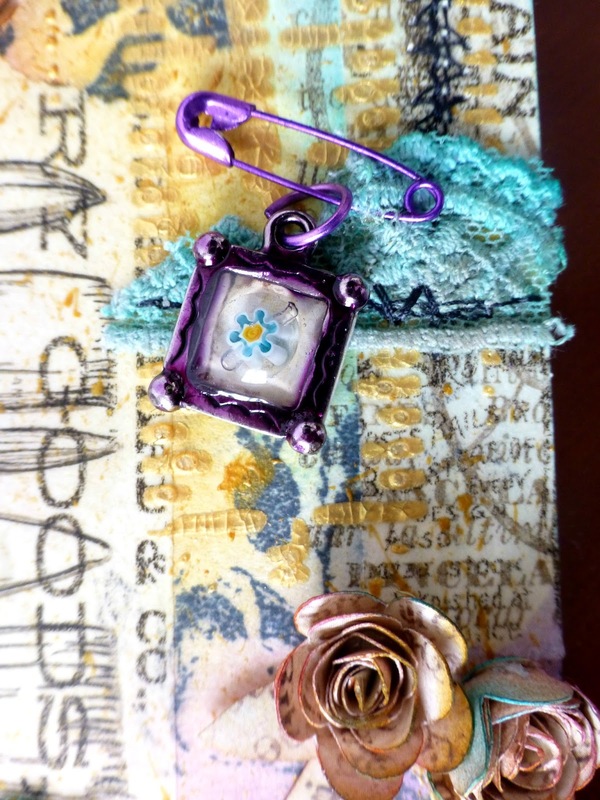 I covered a metal charm with purple glaze paint (Tattered Angels), and made an inclusion with a glass beads I bought in Istanbul. Very nice result for super easy techniques ! 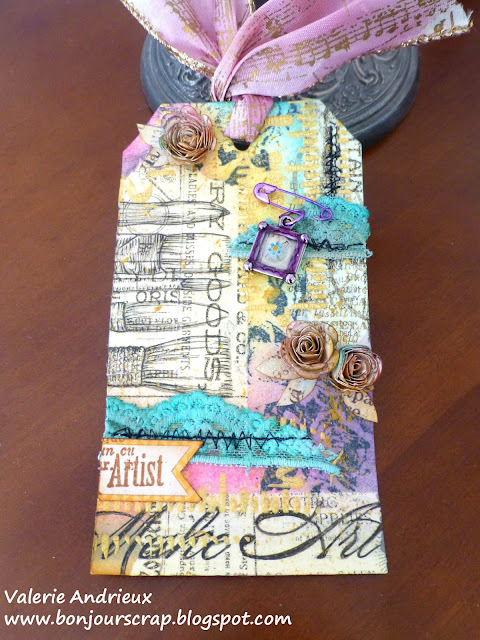 Thanks again Tim Holtz for this monthly challenge ! This is lovely. Nice Spring colors. I like the ribbon with the music notes. Thanks Anne ! The ribbon was one of my findings at Michaels few years back in the Christmas ribbon department! I really like that tag. The colors go great together. Thanks Lucy ! Love those colors too ! How nice of you to say that ! Excellent in every way with lovely spring colors, great layers and textures! You make me blush ! Thanks !